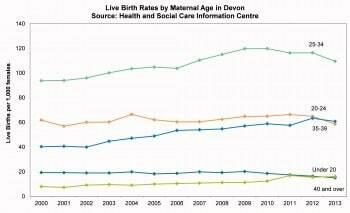 There are over 7,000 births per annum in Devon. Since 2001 a gradual increase has been seen in the numbers of babies being born, with numbers dropping slightly in 2013. Figure 8.1 below shows the rates of births by age group over time and shows increasing rates of births to mothers aged 35 and above and decreasing rates in those aged under 35. The rate of births to mothers aged 40 is now just above the rate in under 20 year olds which is showing a gradual decrease. Total period fertility rates look at the mean average number of births per woman if they are to pass through childbearing years conforming to fertility rates by age of a given year. In Devon, the rate (1.83) is slightly below the national and regional averages of 1.85 and 1.86 respectively. 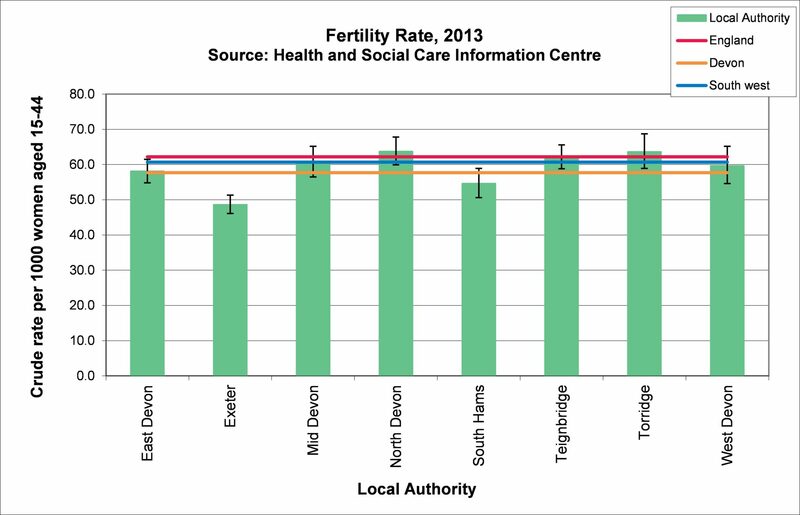 This rate varies significantly across Devon, ranging from 1.51 in Exeter up to 2.06 in Torridge. 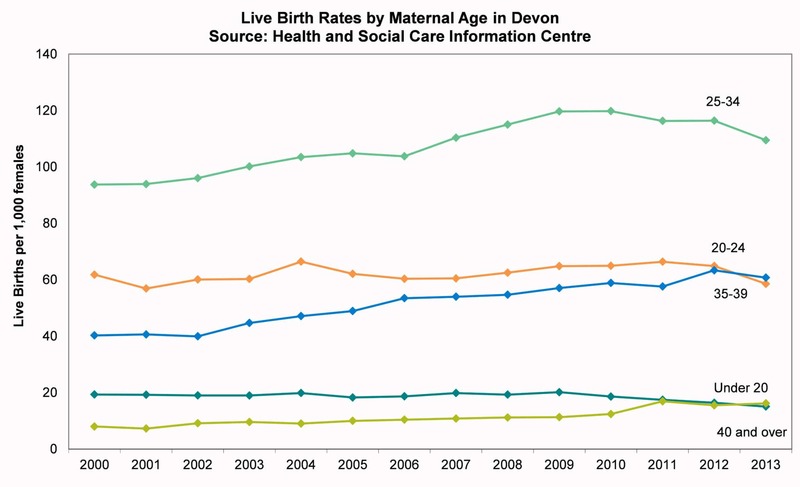 The birth rate varies cross Devon and figure 8.2 shows Exeter has a statistically significantly lower rate than the Devon, regional and national averages. 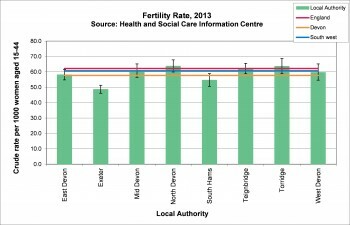 North Devon, Teignbridge and Torridge all have birth rates significantly above the Devon average but similar to the regional and national rates.